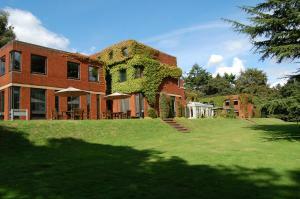 Choose from 44 hotels and guest houses in Buckinghamshire. Shown below a just a selection of the hotels available. To search within an area please use the menu on the right. In the beautiful Aylesbury Vale, 1 mile (1.6 km) north of Aylesbury's town centre, the hotel offers great value, with spacious, comfortable and modern en suite rooms and free parking. The Premier Inn Aylesbury is within easy reach of Aylesbury Railway Station and all of the area's major transport links. The Stoke Mandeville Stadium and the National Centre for Wheelchair Sport are close by, as are the Roald Dahl Museum, the Chiltern Brewery and the Limelight Theatre. Some rooms can take 2 adults and up to 2 children (under 16 years). The 2 children also get a free full breakfast when accompanied by an adult eating a full breakfast. The all-you-can-eat breakfast buffet includes the expected cooked items such as scrambled, fried, poached or boiled eggs, and pork or vegetarian sausages. There is also a wide continental selection. With the warm and welcoming feel of a traditional pub, the on-site Pub Restaurant offers good food and drink at reasonable prices. Just off the High Street, in the heart of Marlow's town centre, less than 750 metres from the train station, this beautifully preserved historic building offers comfortable, great-value rooms. The Premier Inn Marlow is housed in a listed building and offers non-standard rooms, some with beautiful original period features. The hotel has a 24-hour reception desk and some rooms can take 2 adults and up to 2 children (under 16 years). The 2 children also get a free full breakfast when accompanied by an adult eating a full breakfast. An all-you-can-eat buffet breakfast is available each morning and includes the expected cooked items such as scrambled, fried, poached or boiled eggs, and pork or vegetarian sausages. There is also a wide continental selection. The on-site Table Table restaurant offers a fresh new twist on eating out. Located by Willen Lake, this Premier Inn is close to the M1 and a short drive from the shopping centre and attractions in Milton Keynes, including Xscape. Milton Keynes East (Willen Lake) Premier Inn has everything you'd expect: incredibly comfy beds in every room and an on-site 'Two For One' restaurant. Some rooms at Premier Inn can take 2 adults and up to 2 children (under 16 years). The 2 children also get a free full breakfast when accompanied by an adult eating a full breakfast. The full all-you-can-eat breakfast has the expected cooked items, including vegetarian sausages, as well as a wide continental selection. With a noble history dating back to 1476, this ancient inn has been transformed into a superbly furnished hotel where modern comforts blend harmoniously with historic charm. Until 1982, the hotel was known at the Swan with Two Necks. Today the hotel is privately owned and run by the Keswani family, who have sensitively refurbished the hotel, introducing modern comforts and facilities, while preserving the building's period charm and beautiful original features. Today, the traditions of a town distinguished by its hospitality and its beautifully preserved coaching hostelries are upheld at this splendid inn. Travellers from the inn's history would marvel at the luxury of en suite bathrooms, fitted carpets, central heating, and colour television with satellite channels in their rooms. The elegant Georgian fa?ade remains unchanged from 1743, when it replaced an earlier frontage following the great fire of Stony Stratford and fine antique furniture graces the rooms. 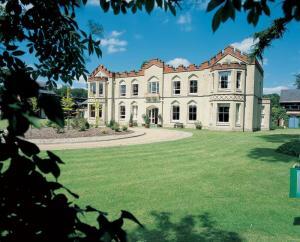 This hotel dates from the Tudor period, but the inside reflects the very best in modern design. 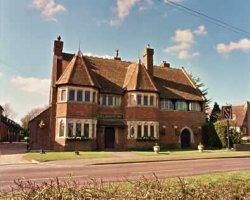 It featured in the film Four Weddings and a Funeral, as well as the TV show Midsomer Murders. With hundreds of years of history (Oliver Cromwell once stayed here), The Kings Arms Hotel is ideal for a romantic getaway. A relaxed lounge bar features a log fire, while the original part of the building has executive rooms with large desks, broadband access and flat-screen TV. The Kings Arms is in the heart of Old Amersham, known for its exclusive boutiques and fabulous antiques shops. There is a local golf course, while Ascot and Windsor racecourses are within easy reach. Amersham is on the London Underground network, 50 minutes from Wembley Stadium and just over an hour from central London (Bank stop). The Kings Arms Hotel is 10 minutes' drive from the M40 and M25. 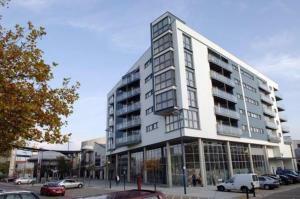 City Apartments offer modern, top-floor executive apartments in the theatre district of Milton Keynes city centre. Enjoy a spacious living/dining area, large bedrooms, bathroom and full kitchen. Each City Apartment has a balcony with views of Milton Keynes or Campbell Park. There is wooden flooring with under-floor heating. Expect free Sky TV, free Wi-Fi and free secure underground parking. The modern kitchens have granite-top work surfaces with a dishwasher, washer/dryer, fridge/freezer, microwave, cooker and cutlery/crockery. The living area has 2 leather sofas, flat-screen TV, DVD and telephone. 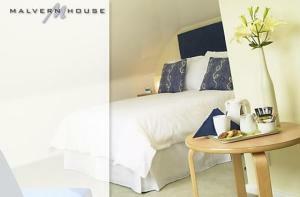 The large bedrooms have double beds and walk-in wardrobes. The white Roca bathroom suite has bath/shower and heated towel rails. These Milton Keynes City Apartments are a minute's walk from Europe's longest shopping centre; the indoor snow venue Xscape (Snozone, Airkix), Cineworld and the MK Theatre and Gallery. CMK train station is a 3-minute drive; CMK Coachway a 2-minute walk. The MK Metro service stops outside the apartments. Novotel Milton Keynes is 2 minutes from the town centre and is a spacious, stylish base with leisure and dining facilities to suit all visitors to Milton Keynes. The modern hotel has bright, well-equipped rooms and a leisure suite with an indoor pool, a gym and a sauna for residents. Elements restaurant serves breakfast, lunch and dinner in a range of portion sizes, and until late. Up to 2 children (under 16 years) can stay free (with breakfast) when sharing a room with adults. This includes access to video games, baby equipment and a healthy childrens menu. Families also get late check-out on Sundays (until 17:00). Providing good value, comfortable accommodation, Premier Inn Milton Keynes South is close to MK Stadium and near Bletchley Park, providing the ideal base from which to explore the surrounding area. Some of the comfortable rooms at Premier Inn can accommodate 2 adults and 2 children (under 16 years). The 2 children are also served a free full breakfast, when accompanied by an adult eating a full breakfast. The full all-you-can-eat breakfast includes cooked items, vegetarian options and a wide continental selection. Premier Inn Milton Keynes South is next to The Caldecotte Arms, serving good food in a welcoming environment. There is free on-site parking and a 24-hour reception at this Premier Inn. Just 5 minutes' walk from the National Bowl and close to Milton Keynes' town centre and the railway station, this modern hotel offers great value, with comfortable en suite rooms and free parking. The Premier Inn Milton Keynes South West (Furzton Lake) has a quiet, peaceful location by the lake, but within easy reach of all that Milton Keynes has to offer. The National Bowl is less than 750 metres away and Milton Keynes Central Railway Station is less than 2 miles (3.2 km) away. The A5 is close by and the hotel has plenty of free parking for guests. All of the large, clean and modern rooms have hairdryers, tea/coffee making facilities and TVs with Freeview digital channels. Wi-Fi is available at an additional cost. The on-site restaurant and bar offers good food and drink at reasonable prices and an all-you-can-eat breakfast buffet is available each morning. In 18 acres of tranquil grounds, surrounded by beautiful Chiltern countryside, Uplands overlooks the Hughenden Valley and combines a classical mansion house with purpose-built, contemporary buildings. Based in High Wycombe, just a short drive from the M40 motorway, Uplands is in a great location for visiting attractions and places of interest in London, Buckinghamshire, Berkshire and Oxfordshire. The good access to the motorway makes the hotel a good base, whether you are exploring the area for leisure, visiting on business or just wanting to get away from it all and explore the Chiltern Hills. Free parking is available for guests' use. High Wycombe railway station is only 3 miles (5 km) away. Trains run regularly from the station to London Marylebone, with a journey time of just 40 minutes. 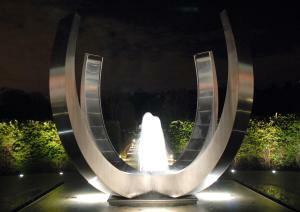 There are 74 en suite rooms and each room features contemporary facilities, such as Sky satellite TV. Set in 30 acres of tranquil, secluded grounds in the Chiltern countryside, overlooking the Chess Valley, Latimer Place combines contemporary and Victorian architecture to create an inspiring venue. Whether it is for a business event or a relaxing break, the hotel offers a stylish blend of well-appointed accommodation and great facilities for business or for leisure. 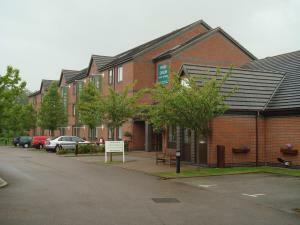 Latimer Place is multi-site venue with rooms and facilities spread across several of the buildings on site. Rooms are allocated on arrival and access to the main Latimer House and the restaurant cannot be guaranteed, due to private functions. 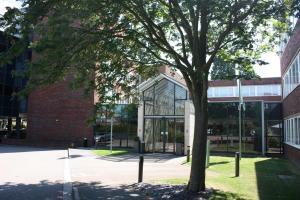 Latimer Place's great location makes it a convenient base, whether you are exploring the region for leisure, visiting on business or attending a conference. This rural idyll is just a 35-minute train journey from central London and minutes from junction 18 of the M25. The great facilities include a large and well-stocked bar, a fine restaurant and an indoor swimming pool in which you can relax. Conveniently located on the A41, within easy reach of the M25, M40 and M1 motorways, this hotel offers great facilities and stylish and comfortable surroundings for business and leisure guests. The Holiday Inn Aylesbury boasts 139 fully air conditioned modern rooms. As well as stylish and comfortable accommodation, the hotel also has a restaurant, bar and lounge. The impressive facilities also include the Spirit Health and Fitness Club, with its own indoor swimming pool. Whether you are relaxing after a hard day's work or a long day spent exploring the region, the excellent leisure facilities provide a great way to unwind. The Academy meeting, conference and banqueting facility is on-hand for all of your business needs. The hotel's convenient location means it has great access to the region's major roads and Ascot Racecourse is just 55 minutes away, while Blenheim Palace is just 45 minutes away. Complimentary guest parking is also available. Conveniently located 4 miles (6.4km) from the city centre and 30 minutes from Luton Airport, the Hilton Milton Keynes Hotel is well placed, with a wealth of amenities. . Guests can de-stress whilst making use of the heated indoor pool, gym, sauna and steam room. New Horizons Bar and Lounge is the perfect place to unwind with a pre-dinner drink before heading for a relaxing meal at the New Horizons Restaurant. All guest rooms are spacious and comfortable, with the use of a 32-inch TV and high-speed wireless internet access. 24-hour room service is available. 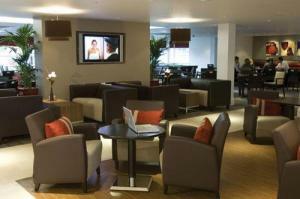 The Hilton Milton Keynes Hotel has a business centre with 15 meeting rooms, holding up to 300 people. Wavendon Golf Course is just 2 miles ( 3.2km)away and those wishing to ski may take advantage of the Xscape Centre nearby. With a convenient location, just off junction 14 of the M1, this modern, purpose-built hotel houses comfortable, well-equipped, contemporary accommodation with free wireless internet access available throughout. Only 5 minutes from Milton Keynes and just 30 minutes from Luton Airport, Harben House boasts a convenient location. Good access to the region's major roads makes the hotel an excellent base, whether you are exploring the area for leisure or visiting on business. There's something for the whole family nearby. Local attractions include Bletchley Park's intriguing Station X, the location of the UK's main code breakers during World War II. The Xscape SnoZone at Milton Keynes, with its real-snow indoor ski slope is also within easy reach. After a hard day's work or a long day spent exploring the area, the hotel's good leisure facilities are a great way to unwind. Enjoy a session in the mini-gym, the sauna or the steam room or have a game of pool. With free Wi-Fi and free private parking, this Edwardian building now houses a hotel and restaurant offering contemporary rooms and serviced apartments with excellent facilities at great-value rates. 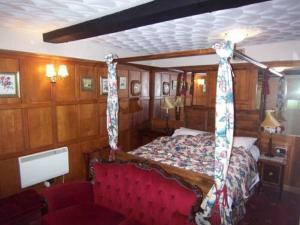 The Buckingham hotel offers comfortable, modern accommodation. All of the rooms are en suite with a bath, a wet room or an over-sized shower. Nearby attractions include West Wycombe Park (one mile away), an Italian-style 18th century house with elaborate interiors and a preserved rococo landscape garden. Also nearby is Hughenden Manor (one mile/1.6 km) the former home of Victorian Prime Minister Benjamin Disraeli, which contains his original furniture, books and pictures.